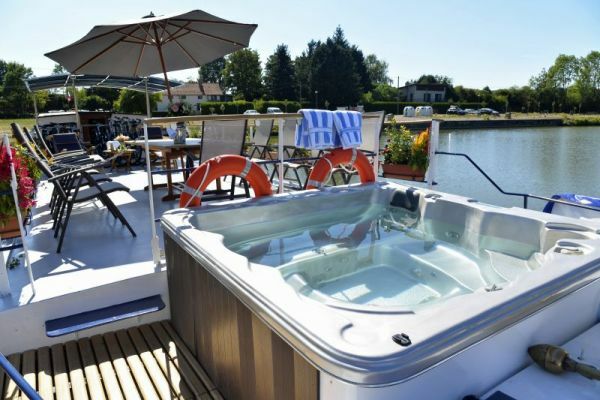 L’Impressionniste is in many ways similar to our other 12 passenger hotel barge in Burgundy, La Belle Epoque, offering an onboard ambience that combines traditional and more modern French influences. Her light and airy interior features picture windows and prints reminiscent of the era after which she has been named. In the spacious saloon with its rich-coloured teak flooring and soft lighting, there are balloon-backed dining chairs and comfortable leather sofas that complete the effect. 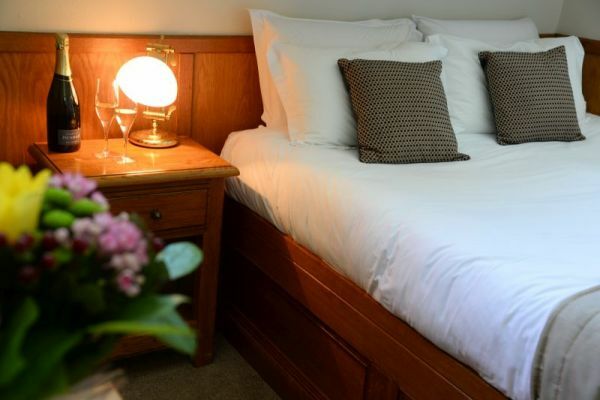 The cabins, each one bearing the name of a renowned Impressionist painter, offer a choice of accommodation in two junior suites or four staterooms, complemented by modern en suite shower rooms. Twin or double bed configurations are also available. 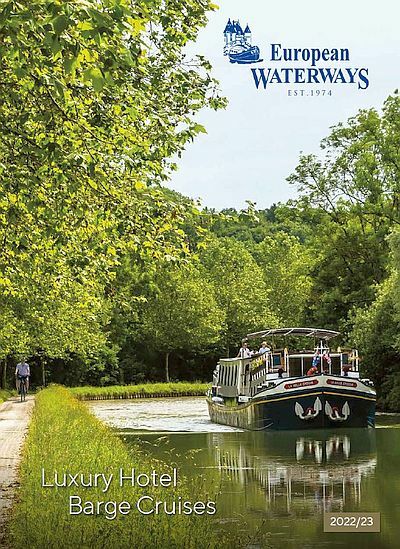 L’Impressionniste glides gently through the picturesque Ouche Valley in Southern Burgundy through locks with their charming lock-houses. You will see medieval villages perched on hilltops and have the opportunity to discover a region famed for its history and viticulture, with visits to such places as Beaune, the local ‘wine capital’, and the elegant city of Dijon. Excellent service, excellent wine food, interesting excursions, comfortable cabins. Wonderful countryside. As much exercise as one might want. Whats not to like?